Compact Through-Hole Load Cells, 2.50 Inch O.D. Compact Through-Hole Bolt Load Cells, 2.50 Inch O.D. 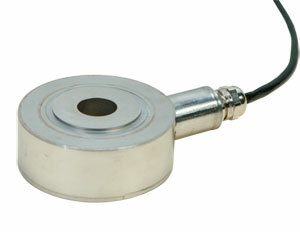 The LC8250 Series Donut Load Cell is an economical solution to applications requiring a through-hole design. With its extremely low profile and compact design, this load cell is ideal for applications such as clamping forces, bolt loading forces and other compressive loads. This series, with its all stainless steel construction and environmental protection, features proven reliability in tough industrial applications. 참고: All LC8250 load cells include a NIST traceable calibration certificate.